The National Institute of Standards and Technology, or NIST, offers a striking catalog of reference materials that range from stainless steel to Spam. These materials turn out to illuminate the fascinating process by which measurement standards are defined in terms of fundamental physical constants and then handed down by NIST as artifacts. Choosy quality assurance and metrication engineers choose NIST Standard Reference Material peanut butter. They’re all standard reference materials produced by the National Institute of Standards and Technology, or NIST, and they illuminate the way that measurement standards are handed down from fundamental units like the meter and the ampere, which are based on low-level physical constants, to practical artifacts that anyone can use to calibrate a bathroom scale or detect impurities in molybdenum oxide. The breadth and complexity of the standard reference materials catalogue is a testament to the breadth and complexity of the modern economy; the manufacturing process for just about everything we use or consume has at least one thread back to Planck’s constant that goes through NIST. In this podcast episode, I interview Steven Choquette, director of the Office of Reference Materials at NIST. 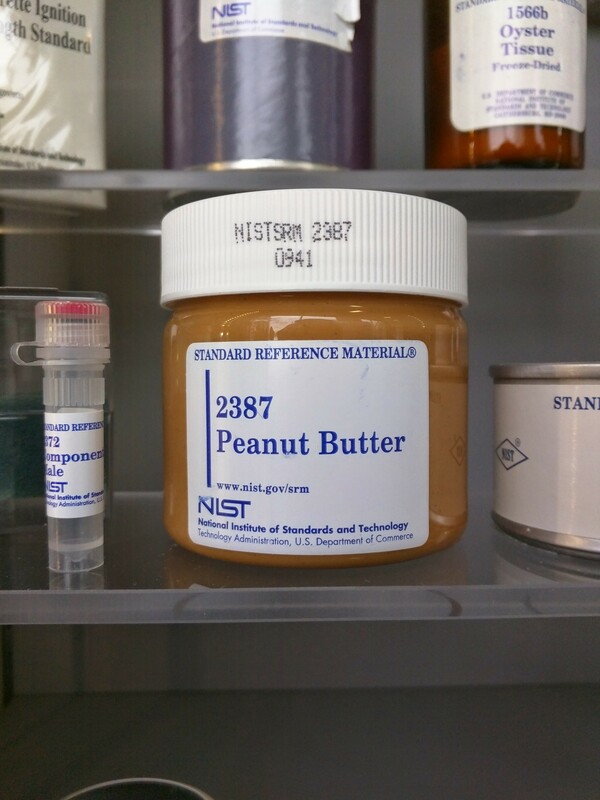 He’s responsible for more than 1,300 reference materials, and I’ve been wanting to talk with him since 2015, when I was wandering around NIST’s headquarters looking for kilogram prototypes and came across a vial of standard reference peanut butter. Join us at The Digital Factory, an executive summit for manufacturing leaders, in Boston on May 7, 2019. The program is co-hosted by Jeff Immelt; speakers include the CEOs of Align Technologies, Spirit AeroSystems, Formlabs, and Desktop Metal; the CIOs of FedEx and Baker Hughes, the CTO of GE, and the head of manufacturing of Ford Motor. 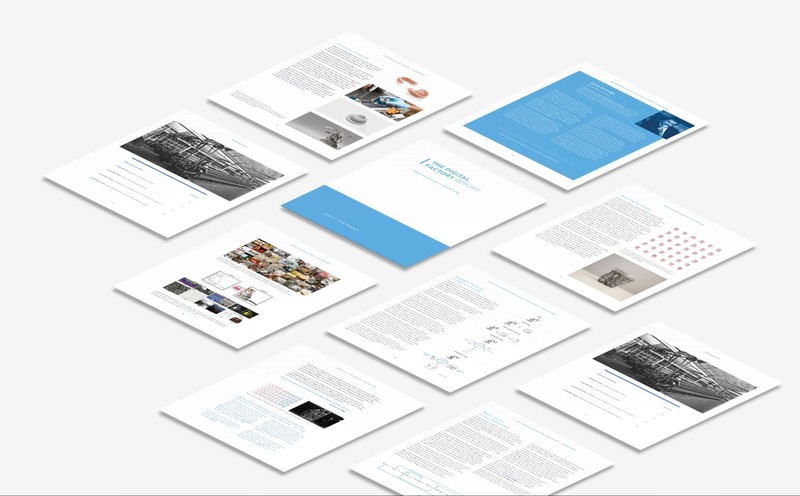 The Formlabs User Summit takes place the next day, featuring solutions, connections, and inspiration from people working at the leading edge of 3D printing. What separates NIST’s urban dust, New Jersey soil, and domestic sludge from the stuff you find in Secaucus is that it’s been characterized at extremely high levels of accuracy and precision. (“Our value added is that we NIST it to death,” says Choquette.) They’re used by academic and commercial laboratories to calibrate sophisticated instruments and validate measurement methods. ‍The Digital Factory is a production of Formlabs, which makes powerful, accessible 3D printers for professionals that scale from desktop prototyping to full production. The future of manufacturing is digital. We explore the technologies that are transforming fabrication, from advanced 3D printing to AI-assisted design, and get to know the leaders who are bringing them to the factory floor. Digital technologies are transforming the way products are designed, engineered, prototyped, manufactured, sold, and serviced. The Digital Factory aims to make these technologies accessible to leaders in every industry through global conferences, publications, and the Digital Factory Podcast.